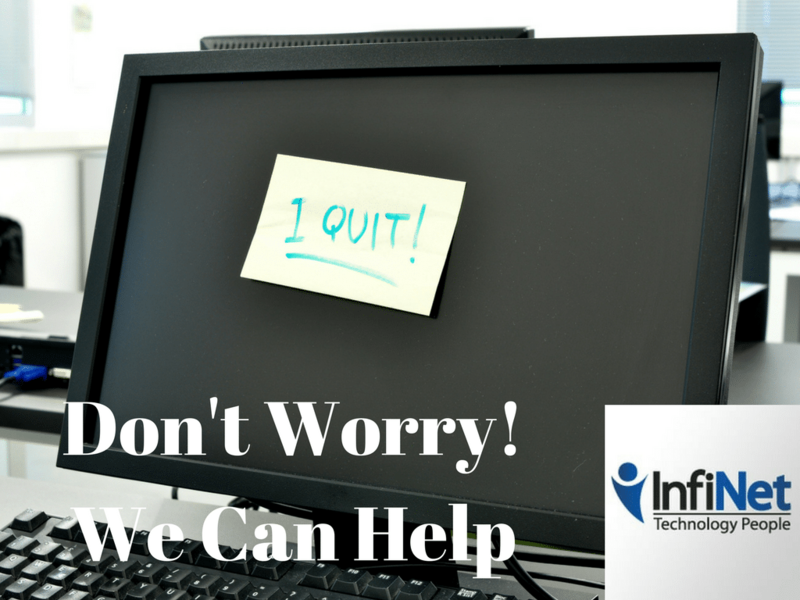 My In-House IT Guy Just Quit…Where Do I Go for Omaha IT Services Now? You don’t have far to go if you’re an Omaha small business entity looking to re-up your IT support bid after losing your in-house IT staff. Just call on InfiNet, your friendly, local Omaha IT services company – and the only IT support firm you’ll ever need to get you the reliable, business-aligned service and support you require! Can you describe your basic approach to Omaha IT support services? Whether targeting and removing potential and actual threats (internal or external to your network), or delivering BYOD-savvy mobile device management, server security, network and cyber security, competitive cloud services, or other aspects of IT stewardship, we treat each case and client as a unique chance to do our level best work. With our best practices in your employ, each IT system facet and anomaly is thoroughly analyzed, monitored, and managed as part of our IT support services Omaha businesses have come to trust. What kinds of IT service strategies can I expect from you? We believe providing A-level IT strategy involves incorporating our clients’ overall vision and objectives, with an express goal of delivering maximum IT productivity and performance, both consistently and affordably. You get optimized computer network performance through carefully conceived-of strategies that combine advanced technology, collaborative planning with client staff, and long-term, threat-preventative measures that ensure less downtime disruption or failure of any aspect of your IT network. What do you tell Omaha business owners in regards to the need for competitive and reliable IT solutions? Every business owner wants to be more profitable, and our proprietary IT strategy takes in all elements of what informs that principle. We partner with you, in effect, to build the most efficient, streamlined, high-performance IT network possible. In fact, we don’t rest until your IT networking infrastructure is guaranteed to be as threat-proof, resilient and robust as it possibly can be. For which industries do you provide managed IT services in Omaha? Healthcare facilities like hospitals, doctor’s offices, clinics, etc. Can you effectively become my new “IT guy”? You bet we can! We’ll act as your ongoing IT consultants and vCIO, handling all vendor management and IT systems monitoring at the same time, with likely better results than you’re used to. Do you have a competitively-priced managed IT services option? Absolutely! We’re a leading managed services provider in Omaha, offering our clients predictable flat-fee agreements on managed IT support services that are both scalable and, compared to the potentially high cost of doing without trustworthy IT services, extremely affordable! I’m impressed! When can we get started? Right away! InfiNet is a trusted Omaha NE IT services provider that does everything it takes to produce total client satisfaction. If you have an IT challenge for us, please give us a call at 402.895.5777 or email us at support@omahait.com and we’ll get you started with the best IT services in Omaha for your time and money! Home > Blog > My In-House IT Guy Just Quit…Where Do I Go for Omaha IT Services Now?